you can't go wrong with Martha White Baking Mixes! 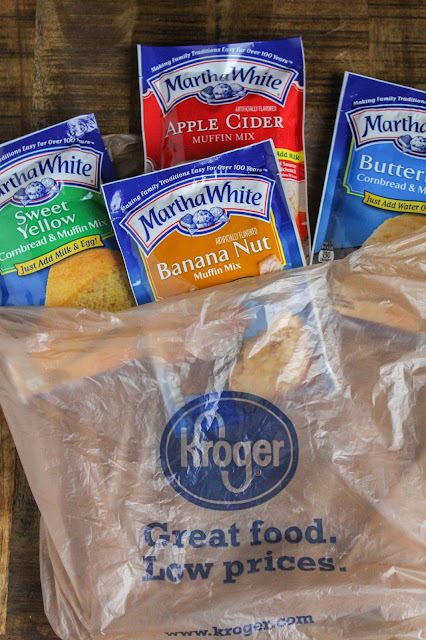 I love just about every kind of muffin and bread out there. I admit, I'm a certified carbaholic! I seriously can't live without bread. Although I make a lot of baked goods from scratch, I also love to use Martha White® Baking Mixes when I can. 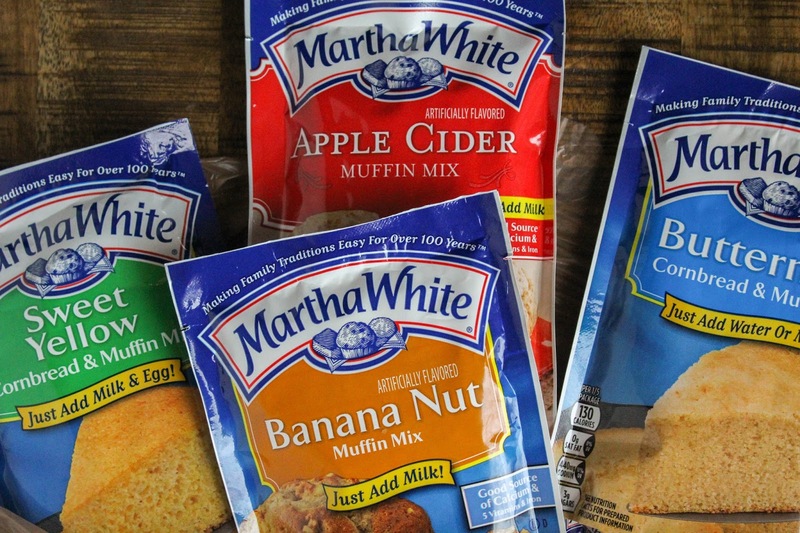 The Martha White® company has been around for over 100 years, and their high quality flours and mixes are the basis for many delicious Southern recipes. 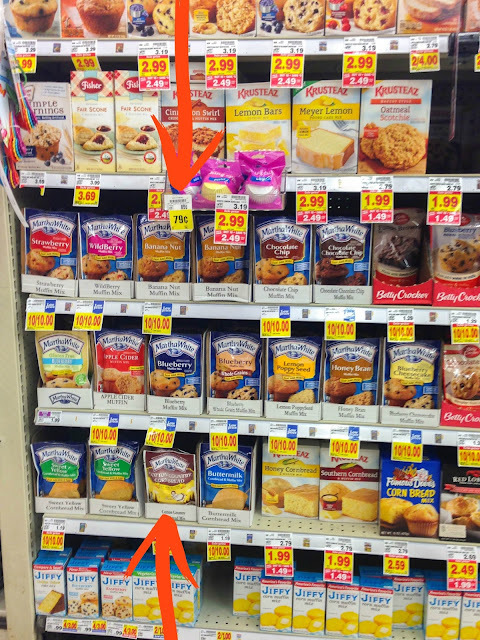 What's your favorite muffin flavor? Is it blueberry? Lemon poppy seed? How about banana nut? As I mentioned before, I love allthemuffins. But I decided to bring home just a few and create some delicious treats. 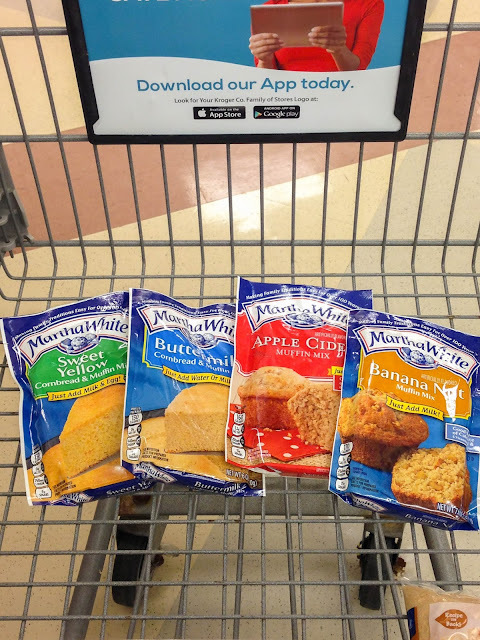 Martha White® is known for their delicious Southern inspired recipes. Since I have family in Louisiana, and visited there every summer growing up, I have quite a few favorite Southern recipes. From cornbread to hush puppies, catfish and fried okra, there is so much to love about Southern cooking. I'm making an amazing Skillet Cornbread & Chili Pie with the Buttermilk Cornbread mix, and lucky for you I'll be sharing the recipe soon! Be sure to stop by the blog next Friday for the big reveal. You can't go wrong with a one skillet, hearty and warm skillet pie this time of year. Am I right? I'll be back next week with that recipe but until then, Happy Baking!